The Abkhazian Foreign Ministry statement said: “Georgia’s actions, supported by disinformation by leading American and British media, once more confirm that Georgia was, and still is, considering the use of force in resolving the Georgia-Abkhazia conflict. ”Abkhazia considers it essential to keep a substantial contingent of Russian peacekeepers present on its territory, as only Russia can guarantee the preservation of the Abkhazian people and stability in the whole region. 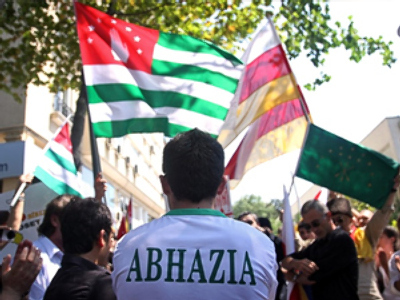 Currently, Abkhazia is a de facto independent state not recognised by any country. It proclaimed independence from Tbilisi in the 90s which resulted in a year-long war. Abkhazia’s officials believe the independence of Kosovo earlier this year have set a precedent, and along with the outcome of the conflict in South Ossetia, it will be enough to provide a basis for a long-awaited resolution of the country's status.